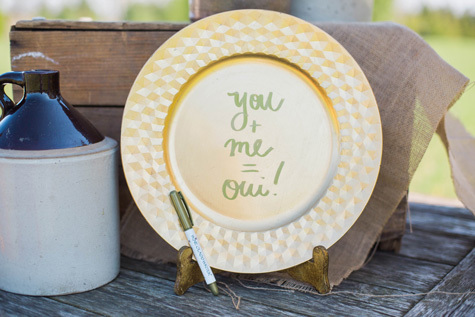 In case you haven’t checked your calendar recently, it’s officially wedding season. 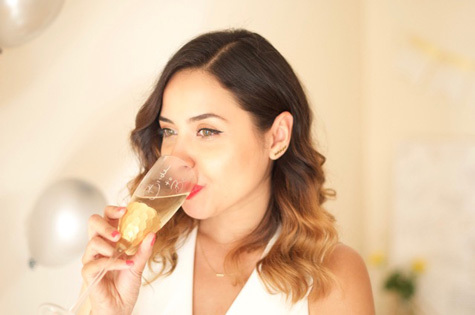 Place Card Glasses: Straight up simple, personalizing glass ware at the tables is a great way to make your guests feel welcome. This could be as formal as writing each guest’s name on their glass, but can also be more playful by labeling the function of each glass, i.e. water, wine, champagne. 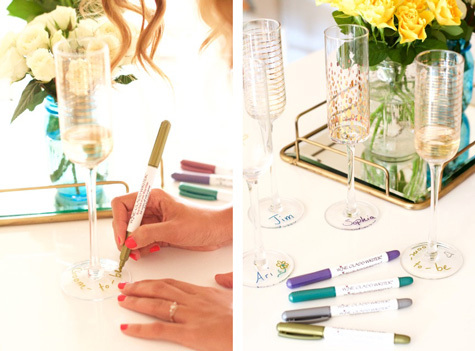 Depending on your crowd, you could even mark “pour levels” on the glasses with cheeky comments (think along the lines of “social drinker,” “enough confidence to make a toast,” or our fave… “totally going home with a groom’s man.” If your crowd is just right, use one of these little comments with an edge per guest, to spark conversation around the table and get the party started oh so right. 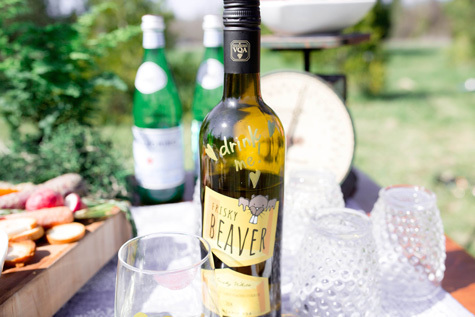 Food + Drink: Looking for a family style feel to your day? 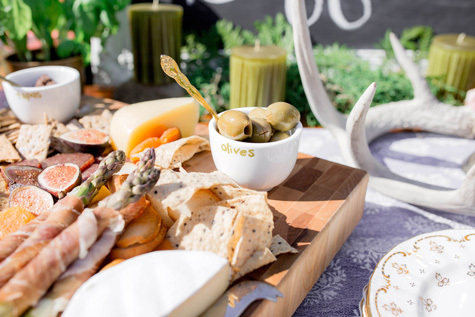 Offering a spread of tasty bites on gorgeous serving dishes can add an air or rustic elegance (yes that’s a thing) to your day. 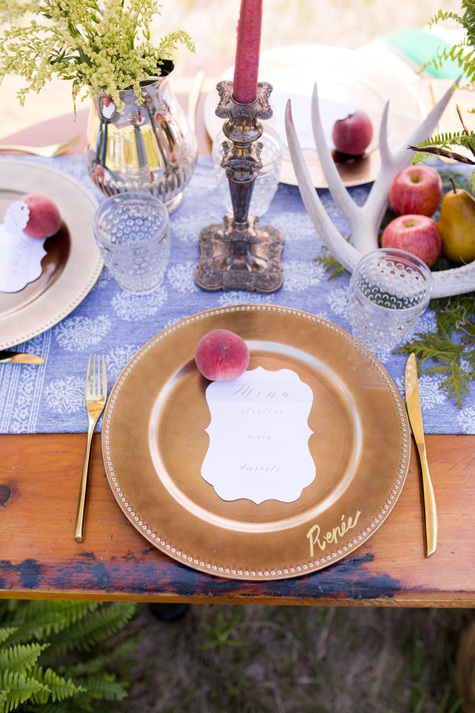 Fill the tables with all your favorite nibbles and label every single one. Be as straightforward or as light hearted as you wish, and write anything from actual contents of the dish (i.e. what kind of cheese, olive, tapenade is inside), to playful instructions (i.e. Eat me! Stack up avocado, tuna tartare and capers for a party in your mouth). 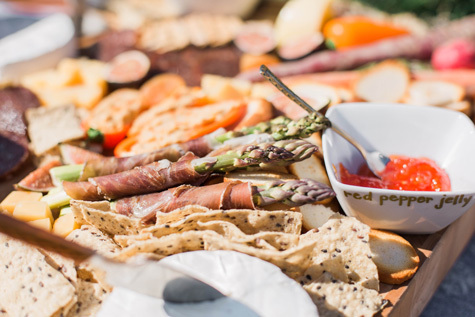 Party Favors: Gone are the days of forced formality, and with more millennials at the age and stage of marriage, wedding trends are leaning towards investing more in the experience than the guss and fuss. 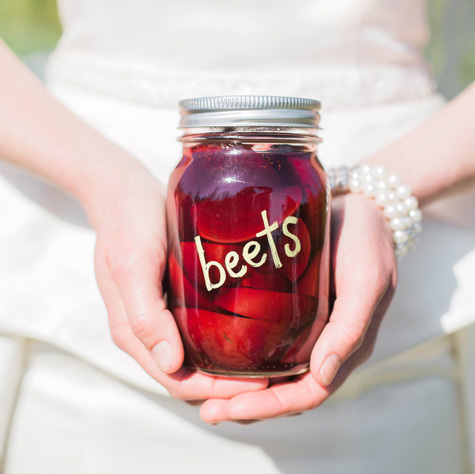 For a special takeaway, consider getting your besties/bridal parties together for a day of preserving, or home brewing before the wedding, then write something over the top awesome on each vessel for all the guests to bring home on the big day. Nothing says “thank you” like a handwritten + signed “Cheers! 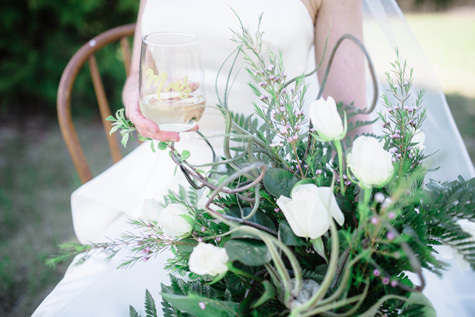 Thanks for sharing our day, Love Jane + John” with something delicious to enjoy inside. Seating Chart: Make the least joyful part of the planning process a little more charming by using WGW to map out your seating chart. 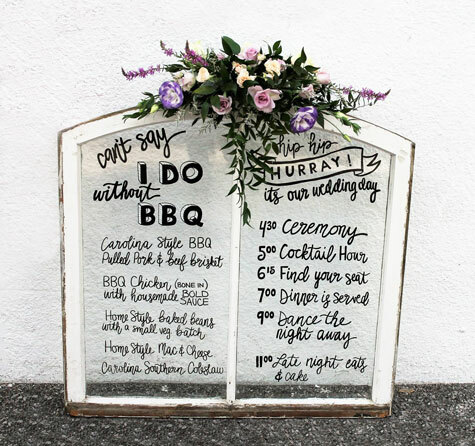 Using a cleaned up, but salvaged window, treat each little pane of glass as its own table, and write the names of your guests at their assigned seat. If suspending the window is an issue, you can playground with covering the back of it with old wallpaper samples or Japanese paper to make the words pop out in contrast. Making New Friends: What's his name again? The handsome best man... or was he a groomsman? Don't get confused when you meet the family! Use your Wine Glass Writer to label your glass so everyone will know your name. Avoid that awkward moment when meeting someone new... or someone you've already met but totally forgot! There you have it. 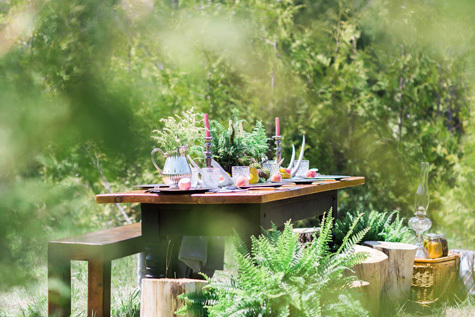 Five simple ways to use WGW to add a little creative sparkle to your wedding, and make it even more special than it already is.